Brent and I decided to try and recreate another of our favorite take-out dishes last night. This one was not quite as successful as our <a href=”https://turningveganese.com/2012/03/20/tofu-mahkani-quick-and-easy/”>previous endeavors</a> but we learned a lot so it’s okay. 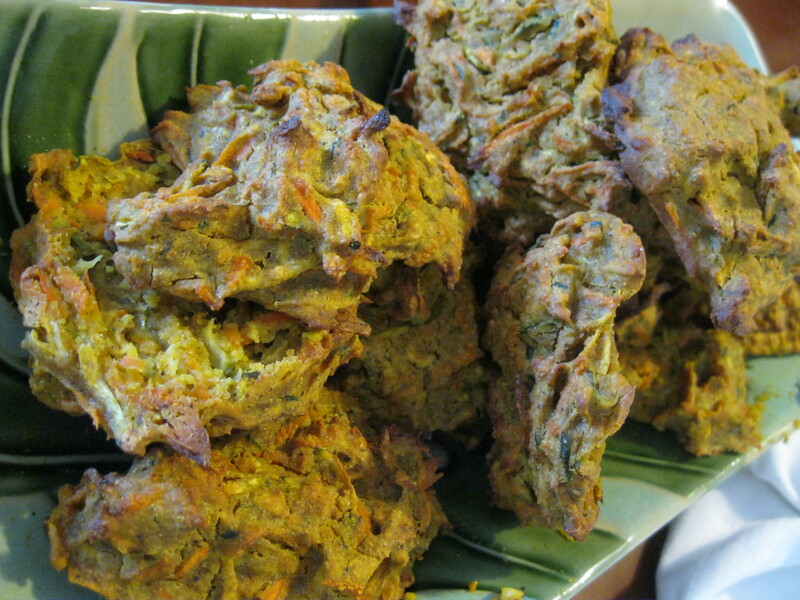 We were interested in making pakora so with some inspiration from <a href=”http://ellesite.wordpress.com/2012/03/20/guilt-free-pakora-vegan-indian-food-made-healthy/>Elle’s Diary</a> we decided to craft our own and bake them instead of traditional frying. 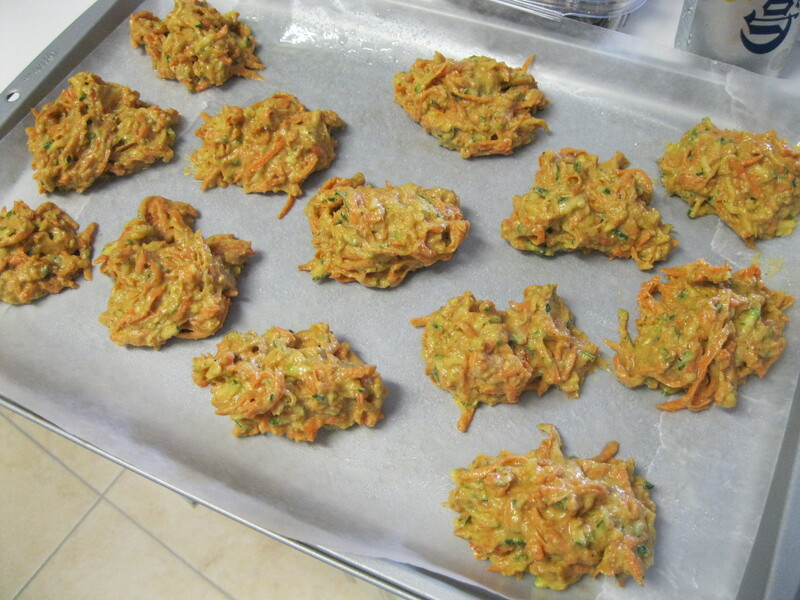 We mixed it together with the shredded veggies and added soy milk until the texture was like a thick batter. I spooned them onto a wax paper lined baking sheet. We baked them at 350C/180F until they began to brown at the edges and were firm to the touch, about 35 minutes. The dipping sauces were an enormous success. The pakora on the other hand, needed some work. I think the next time we make this dish we’ll add a shredded onion and maybe a potato or eggplant to the veggie mix. We’ll also add a little baking soda and use a cast iron skillet to bake them since sticking to the wax paper lined baking sheet was a problem. The flavors, however, were good and this high protein addition to a traditional Indian meal will be welcome even before we work out the kinks. We’ll be revisiting this particular awesome dish again and we’ll keep you posted. 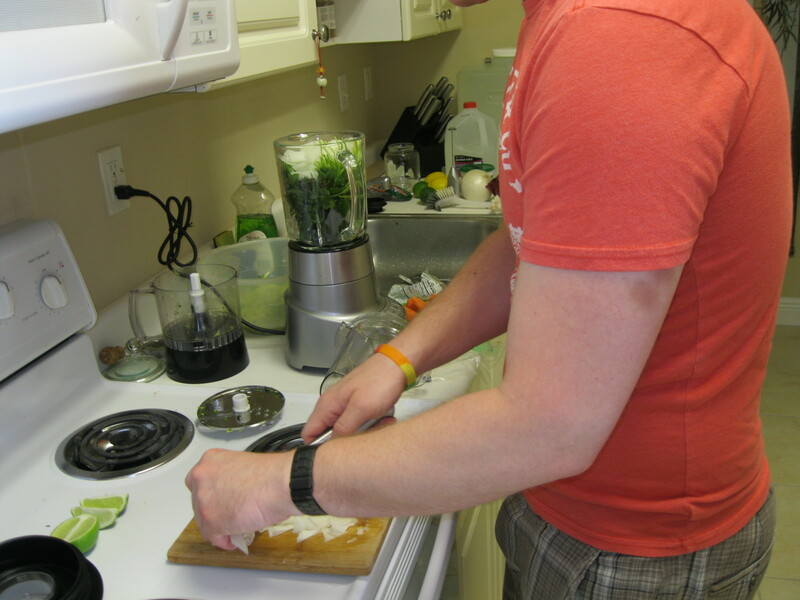 glad the sauces worked out…too bad the pakora didn’t, but now you know what changes to make. 🙂 i would love the recipe after you work out the kinks! i love pakora! 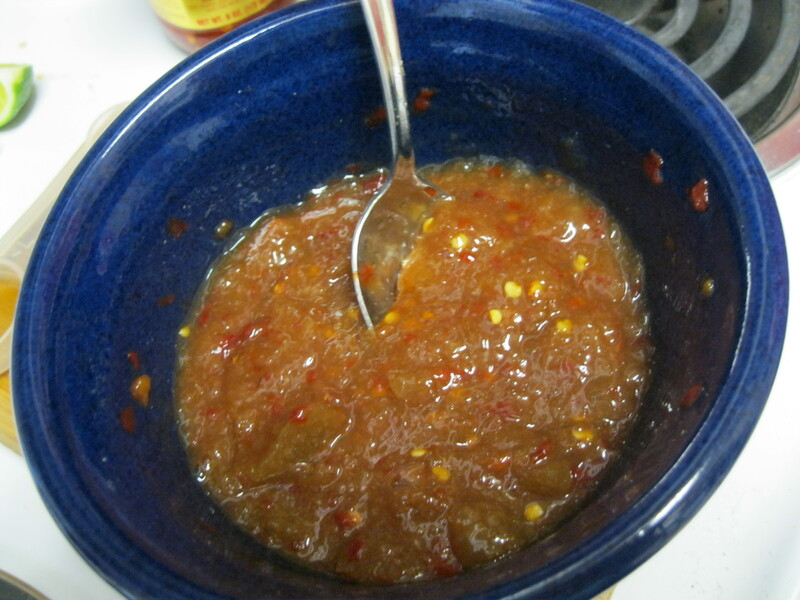 Chutney… I’ve got a weakness for it. Thanks for including a recipe! The two together were fabulous but individually the mint chutney was crisp and herbal. It was awesome for cutting the comforting starchiness of the pakora. I hope you like it if you try it!